MAJOR CHAMPIONSHIPS PRODUCE DRAMA THAT INCLUDES great shots struck under intense pressure and ugly ones that seem to defy explanation. 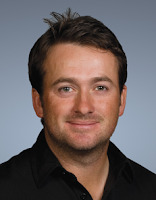 One such jaw-dropping shot—and for the wrong reason—was Graeme McDowell’s wounded-duck fairway metal on the par-5 11th hole during the final round of The Open Championship. Playing from a good lie in the fairway, the 2010 U.S. Open champion very nearly topped his long second shot. The ball screamed low and left as gallery members ducked to avoid possible decapitation. They showed the skulled shot more than once. What in the world possessed McDowell at that moment? I wondered. Did his brain seize up at the top of the backswing? (I’ve had that happen.) How could a player of his caliber make such a horrid lunge at the golf ball? “It was a case of trying to be very aggressive with my second shot and trying not to go right,” McDowell said. Not too long after, the Northern Irishman had another tough moment to manage—what to say to Adam Scott on the final green after the Aussie had thrown away the Open. McDowell also saluted Ernie Els, the surprise winner who staged a back-nine rally that gave him a chance at victory if Scott stumbled.